Just played Quizzy Trivia Blast on Euro site. I finally stopped after 900 KC. It kept showing 5 darts left. I could not even see the target anymore! 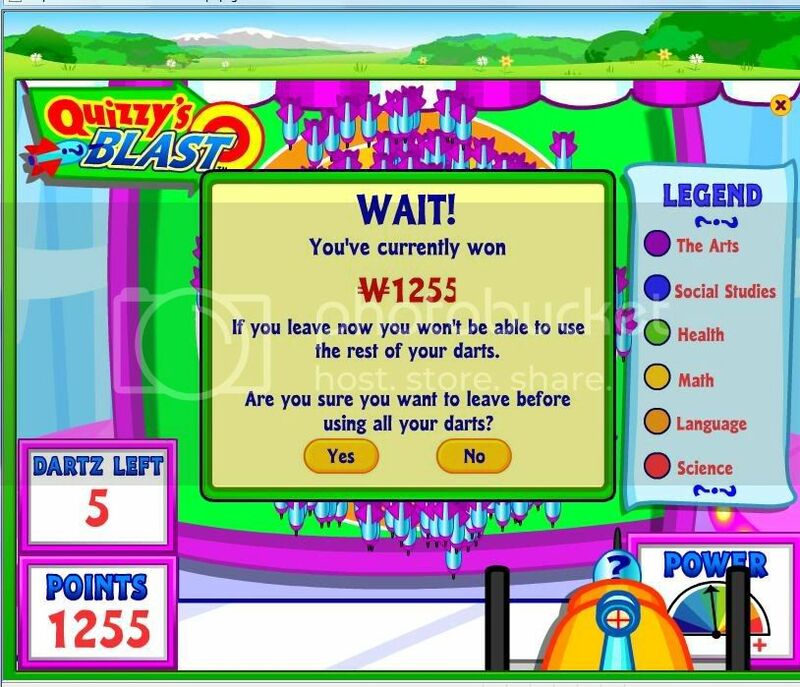 were you able to keep throwing dartz or did it just stop?? Nice glitch, I hope it show up on us site. And Ganz can do something about the "glitches". Ganz knows how many packs of cards, dolls, accesories, figurines etc.. it has sold. It knows how many accounts they have.. they must provide due dlligence and upgrade their systems and server loads so the paying users / customers are NOT hindered due to thier lack of keeping up on their end of the deal. 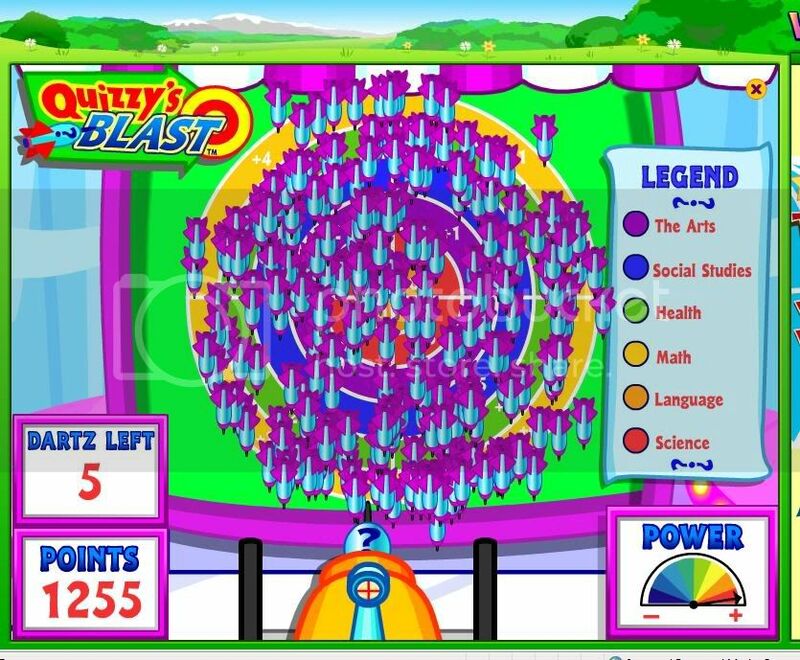 I was just playing Quizzy's blast, and due to a glitch in it I got an extra 50 or 60 KC. Does anyone know how I can contact Webkinz to let them know about this error? I looked over technical issues on the official website and couldn't find anything. And yeah, I know this isn't really a bad glitch to have-- I just don't want my account suspended over it. I mean, it definitely took me longer than it should have to realize the game was working oddly-- I don't want it to look like I was taking advantage of it. Thanks for any help, and sorry if this issue's been posted-- I couldn't find it in a search, so I assume it hasn't been. Yes, it really works if you "x" out. lol. Enjoy the glitch guys.